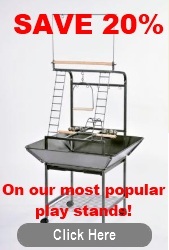 Special prices on 16 top rated christmas toys! Toys that simulate and entertain your pet are an important part of a healthy and happy birds. Don't let Santa forget. Did you find the right Christmas Toy for your parrot? Exclusively focused on pet birds, our team prides themselves on finding answers. Here are 3 easy ways to reach them.